Season your guitar case: Most guitar cases are made of twice as much wood as the actual guitars they hold. Boveda has some catch-up work to do, so your first Boveda won't last as long as subsequent ones. We recommend seasoning your guitar casefirst for best results. 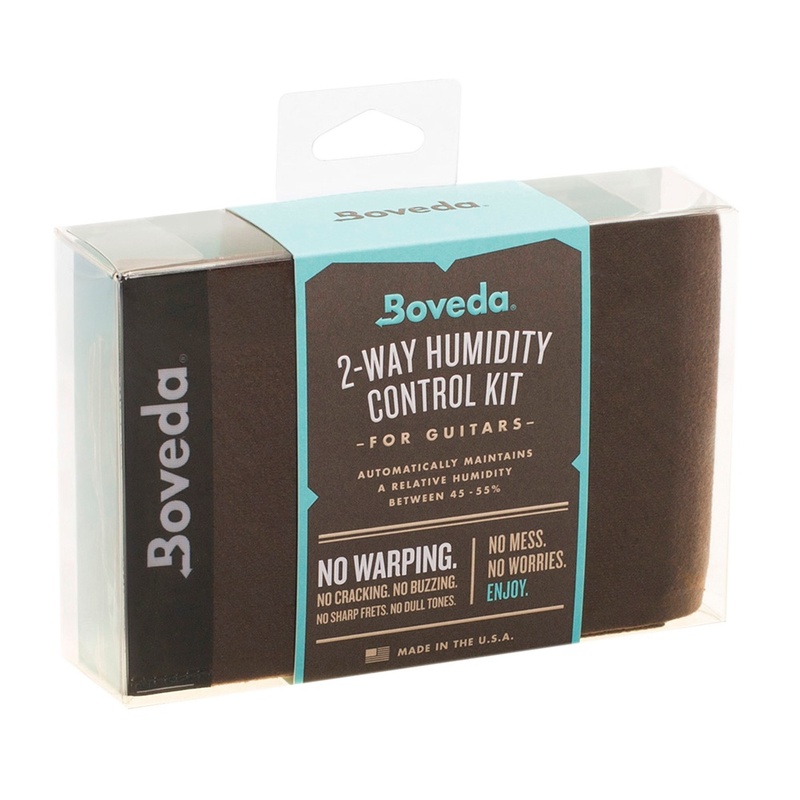 Boveda's 2-way humidity control technology automatically protects your guitar against warping, cracks and other damage caused by lack of humidification or too much humidification. 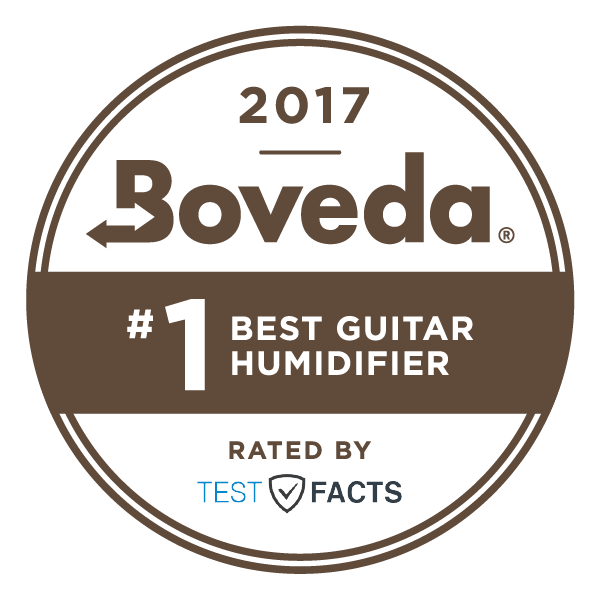 Boveda maintains a constant 40%-50% relative humidity level within your instrument's (closed) case. There's a specific geometry built into your instrument. Precision crafted in a climate-controlled shop. An artisan used intense heat, moisture and pressure to bend wood to shape your instrument. Now the care and keeping of that wood is in your hands. 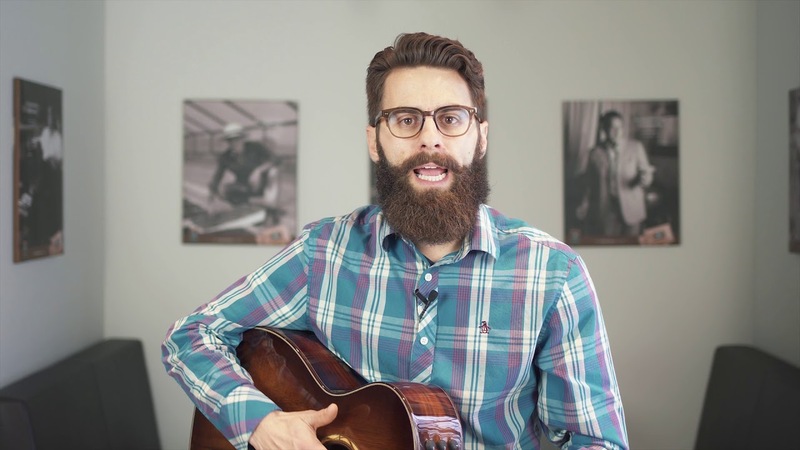 Developing and fine-tuning your repertoire put significant demands on your instrument. If you expose your instrument to humidity swings day after day, you can throw off its delicate alignment and cause permanent distortion. Improper storage is the greatest constant danger to the condition of any wooden instrument. No more adding water to sponges, hoses, or discs. No more risk of moisture puddling inside your instrument. Boveda eliminates the hassle (and danger) of one-way humidification methods. These methods spike humidity when you add water, and take a nosedive as the water evaporates. Boveda is pure water and natural salts sealed inside a leak-proof membrane. Boveda adds and absorbs water vapor slowly and precisely to achieve and maintain an RH level between 40% – 60% in your instrument’s closed case.